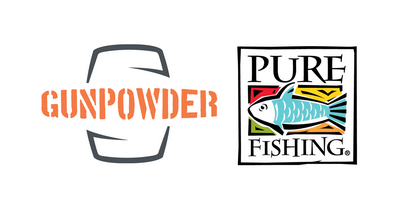 After a competitive review, Pure Fishing has selected communications agency Gunpowder to help drive the brand’s communications strategy and execution. In its new role, Gunpowder will immediately begin handling public relations initiatives for the company and its iconic brands Abu Garcia®, Berkley®, Fenwick®, PENN®, Shakespeare®, and Ugly Stik® among others. In just the last year, Pure Fishing has introduced over 1,900 new products, including a slew of exciting new hard and soft baits from Berkley and dynamic new rods and reels from Abu Garcia and made significant investments in anglers, events and tournament organizations. 2019 will see more exciting developments across the business and the agency is being tapped to help tell the company’s story and maximize its investment across these properties. The Pure Fishing business is a strong addition to Gunpowder’s client roster of some of the outdoors industry’s most dynamic brands including Minn Kota, Humminbird, Costa, Mercury Marine, Beretta, Academy Sports + Outdoors and GoPro. Pure Fishing is a leading global provider of fishing tackle, lures, rods and reels with a portfolio of brands that includes Abu Garcia®, All Star®, Berkley®, Chub®, Fenwick®, Greys®, Hardy®, Hodgman®, Johnson , JRC®, Mitchell®, Penn®, Pflueger®, Sebile®, Shakespeare®, SpiderWire®, Stren®, and Ugly Stik®. Additional information can be found at www.purefishing.com. Since 2015, Gunpowder has been driving dynamic communications programs for some of the world’s most influential enthusiast brands including GoPro, Under Armour, Cabela’s, Humminbird, Minn Kota, Mercury Marine, Costa Sunglasses and Ravin Crossbows. The agency is built on a commitment to driving earned media coverage and social engagement with brand communities through a nimble, creative approach and by understanding how strong strategy and blue-collar work ethic can drive positive business results. The people of Gunpowder live, work and play with its clients’ products and services at the center of their lives. More information is available at www.gunpowderinc.com.